This machine is used for no-exchanged OEM head-unit or you have factory installed amplifier. This unique product will accept 2、4 or 6 channels of speaker-level signals from a factory-installed amplifier or head-unit and convert it to a high-quality, low-noise pre-amp signal. Therefore the SX-6 will allows you to use your factory installed source unit and give you the ability to add a really good aftermarket amplifier and processor. And it has level matching controls to allow you to adjust the outputs. 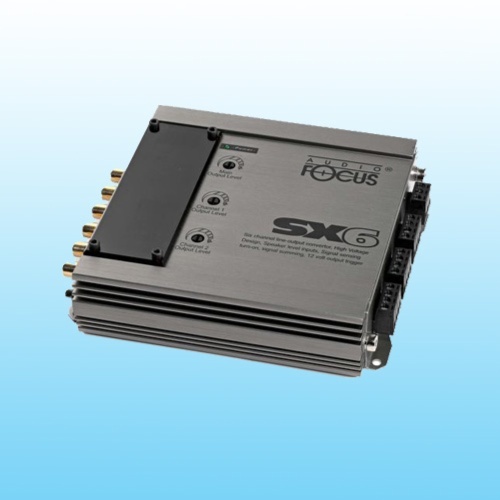 SX-6 internal jumpers can allow you to sum selected channels into main channels. 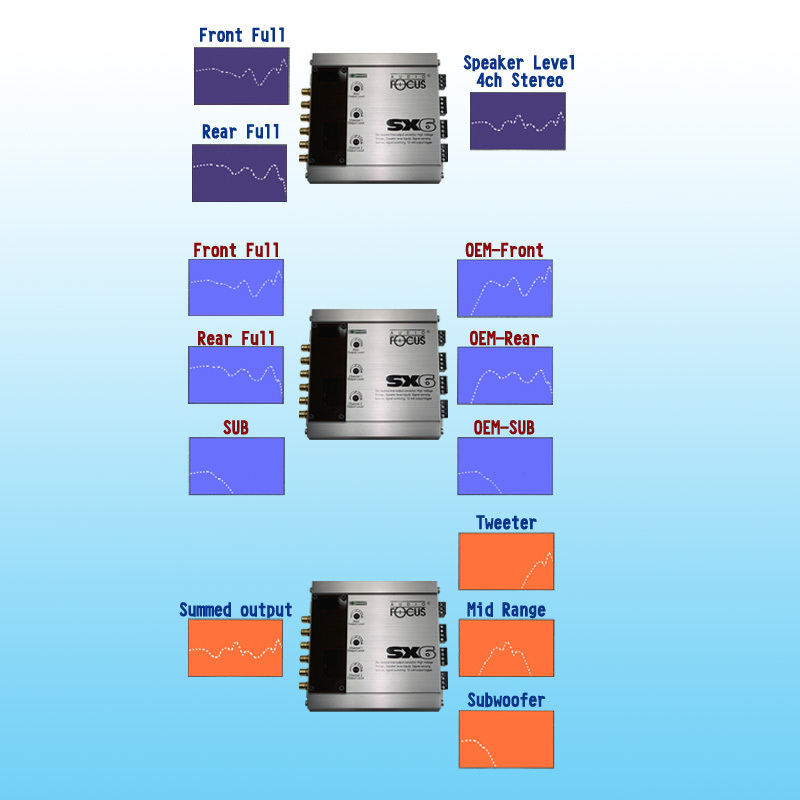 This is especially useful for factory-installed systems with actively cross-over speaker systems. Other features: Channel summed or separated model, level matching controls, 12V output trigger, SPR-coil to stable power, Philips capacitors, speaker-level inputs (up to 50W), and aound isolation selector.